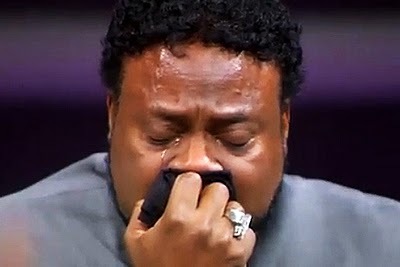 *The settlement negotiations in lawsuits against Bishop Eddie Long were moving along smoothly, but may have hit some bumps, reports the Atlanta Journal-Constitution. The judge in the case said he is scheduling trial for late summer, according to Atlanta’s Channel 2 Action News. The threat of a trial appears to conflict with an earlier statement by State Court Judge Johnny Panos. Several weeks ago, Panos said that the major obstacles to settlement had been resolved and that the parties were discussing small details. Four young men have accused Long, the pastor of New Birth Missionary Baptist Church, of sexual coercion. He has denied the allegations. This freak gonna pay one way or the other. Who settles if they are innocent. Let’s take it to court. Settlement means there’s fire where there’s smoke. That dude is very smokey….LOL!